What better way to celebrate Chinese New Year than with a plate of tangy and sweet Orange Chicken. 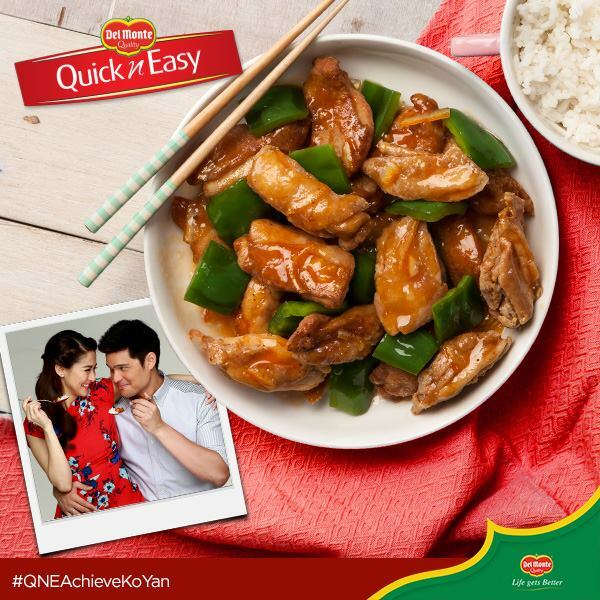 Try it now and achieve that oriental rich flavor made with Del Monte Quick n’ Easy Sweet & Sour Mix. 1. Season chicken with salt and pepper. Coat with chicken breading mix. 2. Fry the chicken strips. 3. Dissolve the DEL MONTE QnE Sweet & Sour Mix in water. 4. Cook the mixture in a pan until thick. Add the orange marmalade. 5. Mix in the fried chicken strips and the bell peppers.